The host response to biomaterial implants remains a critical challenge for many medical devices. Understanding this response and developing better biomaterials requires a multidisciplinary approach involving methods from materials engineering and biology. Our laboratory combines microscale technologies with biomaterials engineering to control the physical and chemical properties of the cellular microenvironment. We are interested in developing a better fundamental understanding of how material properties regulate macrophage function, and utilizing this knowledge to create improved materials for medical devices. In this talk, I will describe two primary areas in which we are currently focused. First, we are examining how physical features of the extracellular microenvironment, including adhesion geometry, topology and matrix composition, influence macrophage function and the wound healing response. In a second approach, we are utilizing biomolecules expressed by host tissue to mask the biomaterial surface, and thus promote immune tolerance. Our ultimate goal is to create biomaterials that control local immune cells and mitigate the host response to implanted devices. Wendy Liu is an Assistant Professor of Biomedical Engineering at the University of California Irvine. After earning her B.S. degree in Materials Science and Engineering from MIT in 2000, Wendy attended the Johns Hopkins University, where she obtained her Ph.D. in Biomedical Engineering in 2007 as a National Science Fellow. Her doctoral work was completed in the laboratory of Dr. Christopher Chen. Following her Ph.D., Wendy completed postdoctoral positions at Arsenal Medical Inc., a biomedical start-up company developing cardiovascular devices, and at MIT, where she worked in the laboratory of Dr. Robert Langer. 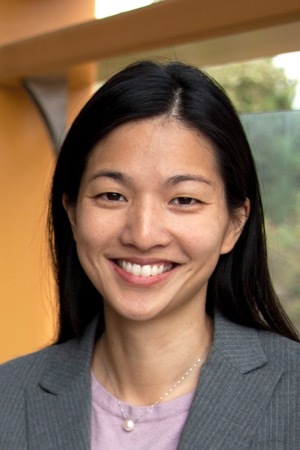 Wendy’s work has been recognized by a number of awards including the 2012 National Institutes of Health New Innovator Award, the 2013 BMES-CMBE Rising Star Award, and the 2014 UCI HSSoE Junior Faculty Research Award.